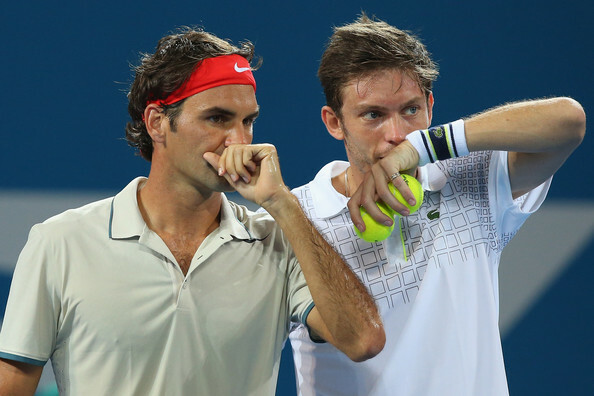 Roger Federer combined with Frenchman Nicolas Mahut for a doubles win at the ATP Brisbane International. 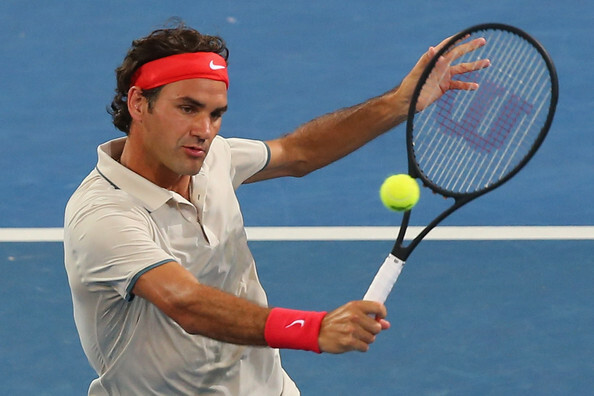 Federer played with his new racket, with a larger head, and combined with Mahut for a win over top seeds Jean-Julien Rojer and Horia Tecau 7-5, 7-6. 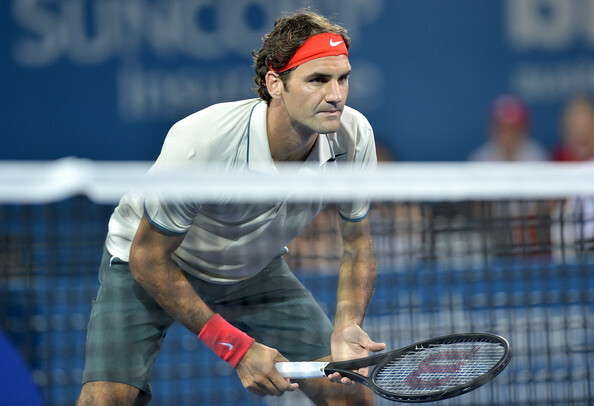 Roger Federer looked very sharp at the net & played some fantastic volleys as well as some crisp backhands & forehands. 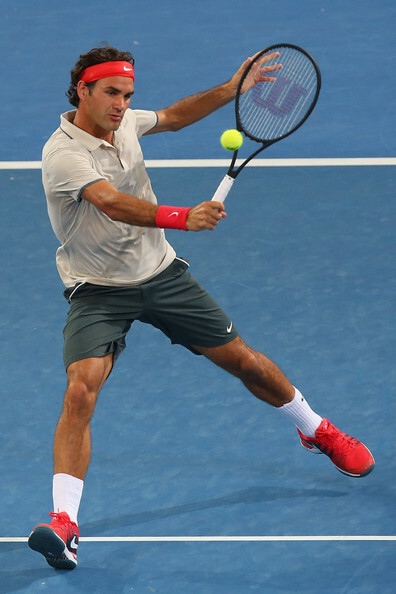 Federer is scheduled to play his first singles match, after a first round bye, vs Finnish player Jarkko Nieminen on Wednesday. 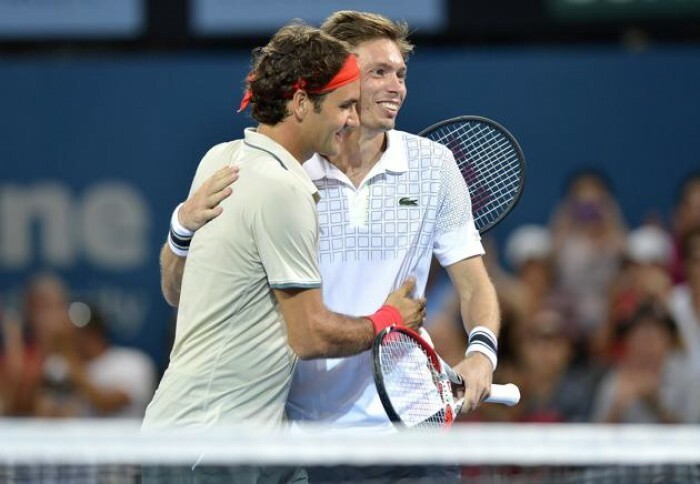 Mahut is also in the singles draw, and scored a first round win on Tuesday over Igor Sijsling 3-6, 6-4, 6-4 and meets the no. 8 seed Jeremy Chardy, who beat Adrian Mannarino 7-6(4), 7-5. Scroll down for pictures, video highlights from the match. Gilles simon, Federer and Mahut..
Federer looked good today morning with the new racket. 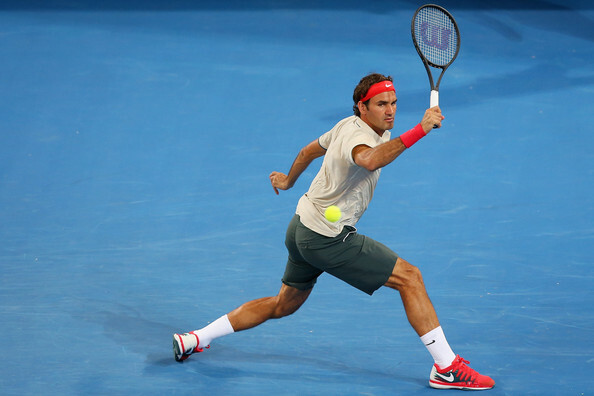 Not only did he volley brilliantly, but some deft touches, drop shots, forehands looked wonderful. 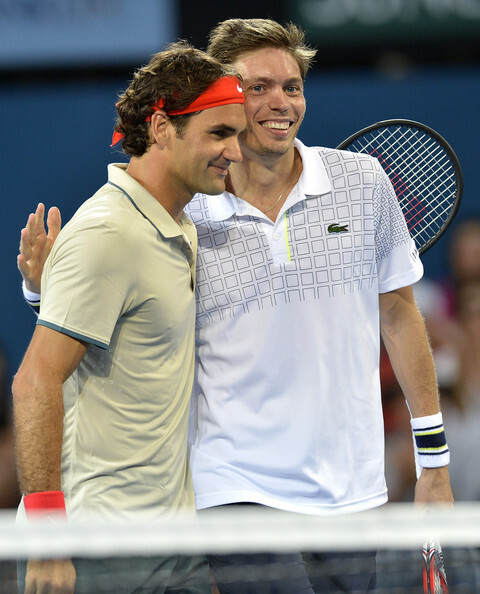 I must say, he was complemented quite well by Mahut. So, lets hope for the best in 2014. Happy New year to every one reading this . Thank you so much for posting Sausan. The total lack of live streams of this match was the height of frustration this morning. 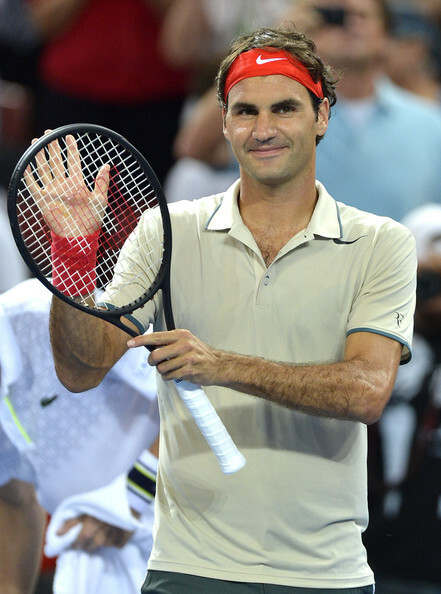 does anyone know if there's a Live Stream of Roger's singles game tomorrow? Its coming online on many streams, see my twitter id for the links, can't post those here.